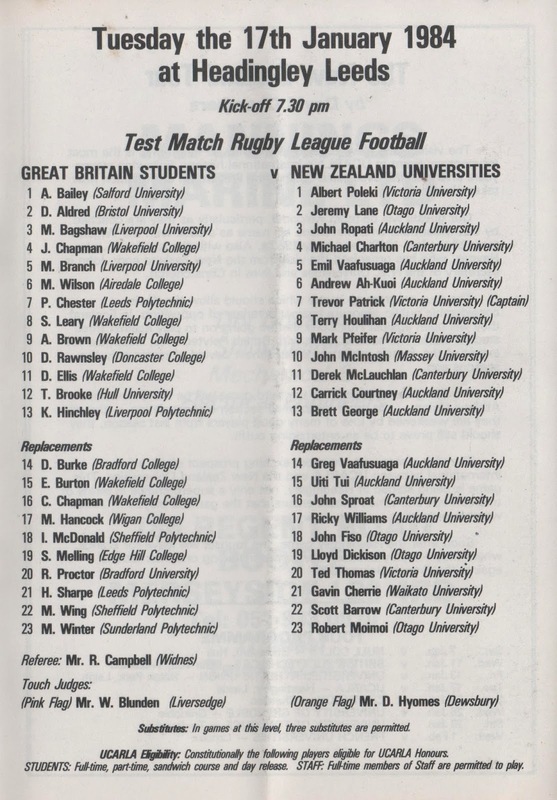 The New Zealand Universities team was the first representative student side to tour the UK. 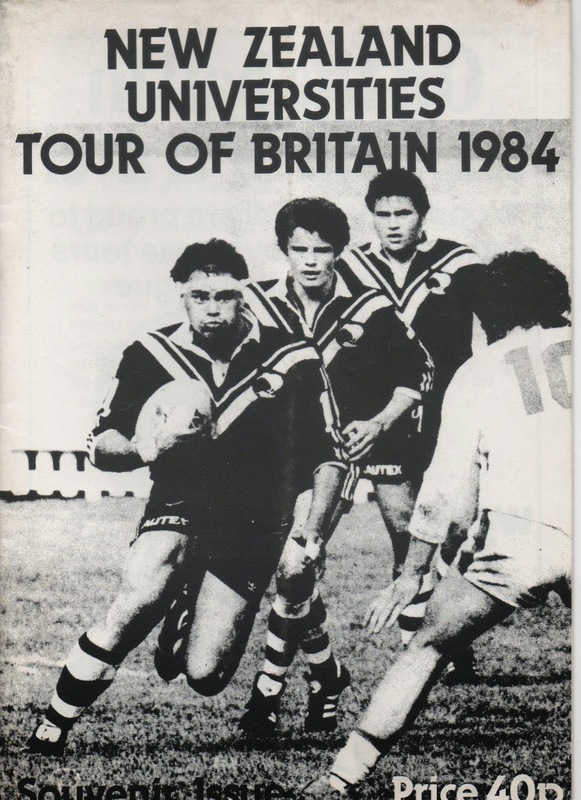 The tour began on 7th January 1984 with a game against Hull Colts. A further four games were played in England before the touring party flew to France for four games the final one being against the French Universities on 1st February in Limoux. The climax of the English leg of the tour was a game against Great Britain Students at Headingley on 17th January. The Great Britain squad contained a number of players who went on to have successful careers in the professional game. However, two of the squad are probably better known for what they have achieved away from Rugby League. Martin Winter did play professional Rugby League for Doncaster but his main claim to fame is that he was the first elected Mayor of Doncaster. Dave Alred (his name is spelled incorrectly in the programme) also played professional Rugby League. He was signed by Sheffield Eagles in the summer of 1984 and played on the wing in the Eagles first game against Rochdale Hornets. Although being part of the first team to represent a new professional club is unique it is on the training pitch the Dave Alred is best known. Dave Alred is a very successful kicking coach and has worked with Rugby Union players like Jonny Wilkinson, Johnny Sexton and George Ford. His work on the training pitch has also extended to Golf where he has worked with golfers such as Luke Donald and Padraig Harrington.